I note from recent press and media reports the various comments made by Lord Smith when visiting Suffolk. 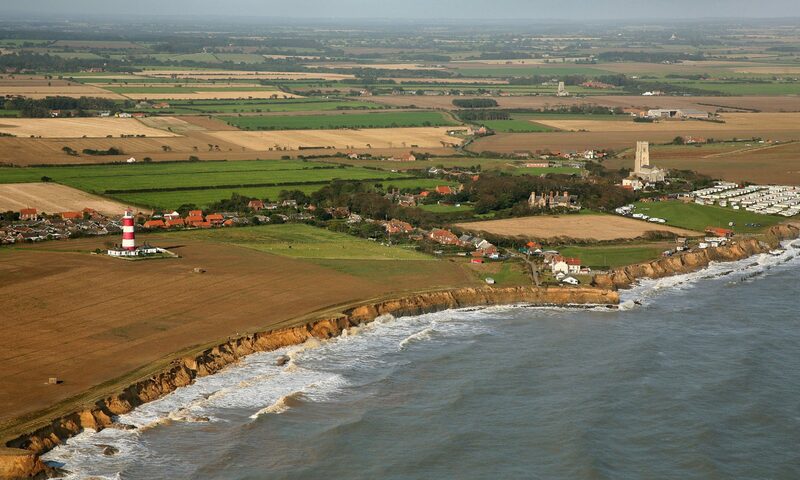 The problem is, just as the Minister did when he came to North Norfolk in July, he has said nothing that changes the situation one iota. As far as I can see it was an exercise in saying we are not going to defend much of our coast in what the politicians would deem a much more user friendly way. In many ways it was the usual political spin particularly when referring to increased funding for flood and coast protection. There was no mention of the fact that the Environment Agency (EA) which he now chairs spent £67million pounds of our money running its Head Office last year and the true facts about funding were seemingly avoided. FACT, the funding allocation for Flood and Coast Protection (F&CP) for the three year period commencing 6th April 2008 is £2.15billion of which only £110million (just 5%) is allocated to be shared between the 92 Maritime Authorities plus the Internal Drainage Boards for Coast Protection. That is a dramatic reduction of funding for the coast, not as they would have us believe an increase. He did not mention that currently for every pound of OUR money given to the EA for F&CP app. 65p goes on admin and only 35p goes into actual works. That is a National disgrace. What we all need is to hear the politicians who hold responsibility will stem the systemic waste in the various Departments and Agencies involved in F&CP, will significantly increase funding for the coast and achieve something approaching value for money for the taxpayer. That which is sorely lacking at the moment. He also failed to mention his Government has just given £75million to another country to help them with their “adaptation to climate change” whilst we, whose money it is anyway, only get £30million spread over three years for “adaptation to climate change” !! He did mention though that he found the prospect of people and communities funding or part funding their own protection from the sea “exciting”. I bet he did. Is that not utopia for any Government. Getting people to pay twice for their rights, once through the tax system and again themselves. I say again if we continue with present coastal governance, policy and underfunding we are very much set on a path which will most definitely lead to coastal chaos in the not too distant future. As can be seen it is beginning now. We must all stand together and absolutely demand better value for our money. We can live without the dreaded SPIN, let us deal with the facts !! Let us say to all who hold responsibility for the management of our coast stop trying to pull the wool over our eyes and get on with managing our coast for sound, best practice coast management rationale and stop managing for fiscal reasons alone.